Quizzing glass, enamel, glass and gold, c 1800s-1850s. Quizzing glasses were named so due to the tendency for the wearer to hold up the lens and "quiz" the person or object that they were looking at. 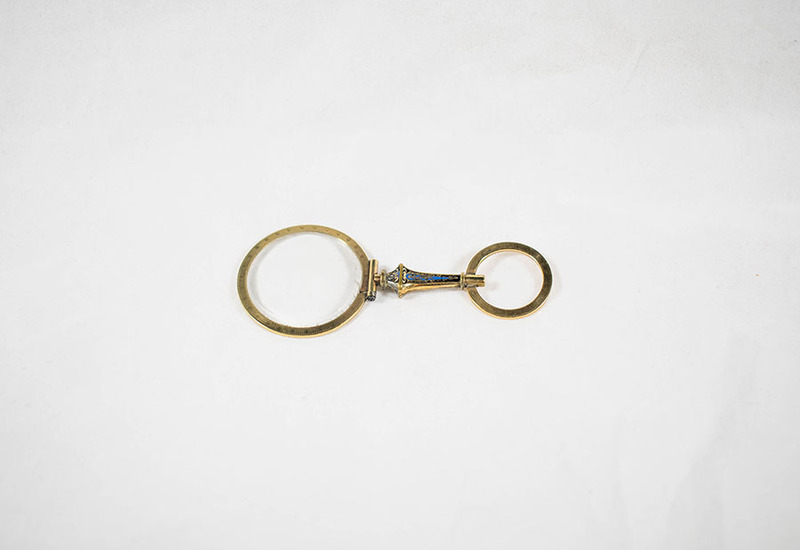 This style of spectacle is simply a magnifying glass and was often attached to a chain when worn. Unknown, “Quizzing Glass,” Heritage, accessed April 23, 2019, https://heritage.rcpsg.ac.uk/items/show/181. Description: Quizzing glass, enamel, glass and gold, c 1800s-1850s. Quizzing glasses were named so due to the tendency for the wearer to hold up the lens and "quiz" the person or object that they were looking at. 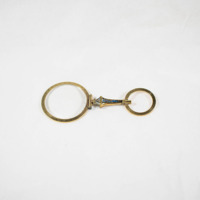 This style of spectacle is simply a magnifying glass and was often attached to a chain when worn.